If you're someone who learns best by painting along with tutorials, this book is for you. Terry Harrison is an experience painter who started painting in 1984 and has more than 3 decades of experience. In this book, he focuses on two subjects, sea and sky. This is an instructional watercolour book that teaches various techniques required to paint a beautiful seascape, and there are lots of wonderful examples included. The step-by-step tutorials are easy to follow and the results from simple but carefully placed strokes look great. What you'll learn specifically are ways to paint clouds, water, waves, splashes, reflections, boats, beach, rocks and cliff. It's a really hands-on book that's filled with practical knowledge and exercises. 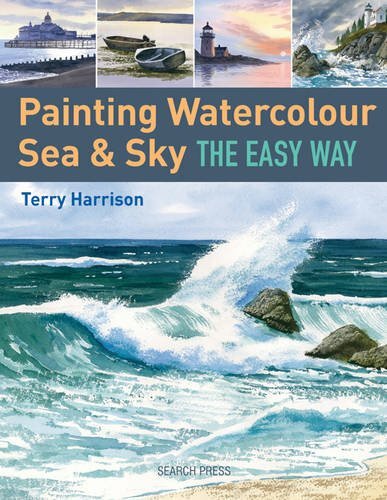 Highly recommended for those who want to learn more about painting the sea and sky.